The sight and smell of flowering trees can be worth braving strong wind and cold temps. At first they were only seen out west. Most believed it was the dry air, constant sunshine, and proximity to salt water that nurtured their development. In no time at all, it seems, there were sightings in major urban centers across the country. While several theories seek to explain the population explosion, most trace the spread back to curious tourists. Others have linked it to documentaries shown on late night cable. Unscrupulous retailers have also had a hand in unleashing this once isolated species. Despite the harsher, four season environment, they seem to have adapted to not only the lakefront, but the forest preserves of the suburbs, appearing in record numbers in direct proportion to sunlight. Drawn to bike paths like Buicks to the left lane of the Interstate, their unpredictable behavior menaces unsuspecting bicyclists and other trail users daily. Just as chipmunks appear suddenly from the tall grass along the trail, this mammal can overtake a rider from either direction without prior warning. Fully capable of audible noises, it chooses to remain silent. Perhaps it’s out of fear of disrupting the flow of air across its perfect aerodynamic posture. Perhaps it’s just a total disregard for all other beings in the universe. We all seem to have an encounter with at least one of these inconsiderate creatures on every ride. 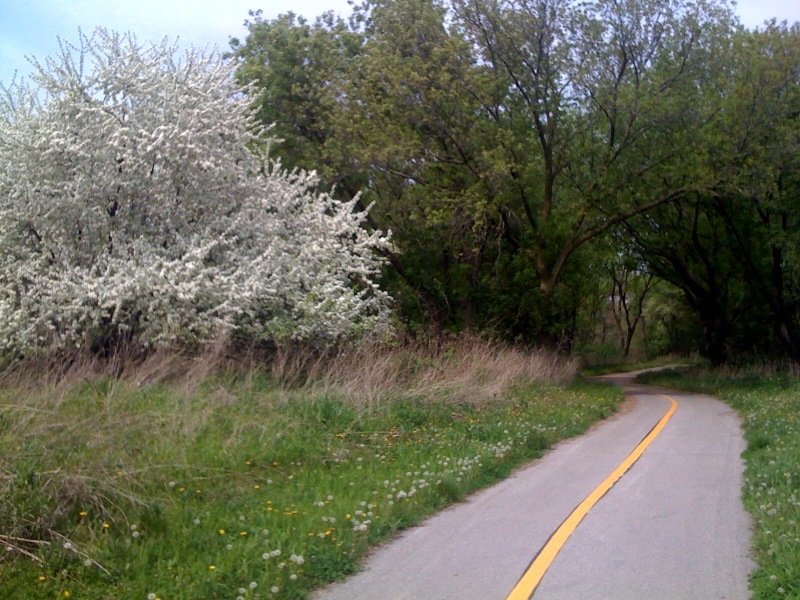 If you ride the Lakefront Bike Path, you may encounter dozens during the course of even the shortest jaunt. While I had miraculously escaped serious injury from their inconsiderate and selfish antics numerous times over the years, I never knew what they were called until I read a post about them on Facebook. I apologize for not linking to the original blog share. The Urban Dictionary defines pathlete as “a cyclist who rockets down bike paths in full race gear, blowing by kids, old ladies, dogs, strollers”. The phrase’s origin comes from combining “path” from bike path with “athlete / triathlete”. I’ll refrain from quoting the rest of the definition so as not to offend anyone who may be mistakenly profiled as one. If you notice a rider on the bike path with a carbon fiber racing bike or any bike with aero bar extensions clipped to the handlebar, use extreme caution when approaching. Many times the rider will be wearing a brightly colored team jersey with matching shorts. Other times he’ll attempt to blend into his surroundings with a t-shirt and jean shorts. If he’s wearing a helmet, he will likely resemble the Rockateer. He may also be spotted with a backward baseball cap. To brace for an encounter, ride defensively at all times. Always expect to be passed from behind without warning. Although fully capable of uttering the phrase “on your left”, opening the mouth while riding apparently has a negative effect on drag coefficient. Likewise, be cautious of fast approaching oncoming riders on your side of the yellow line. Riding stretched out in the aero bars creates such a strong sensation of flying that the brain is deprived of oxygen and the eyes are unable to recognize bogies in the same airspace. Like all other species that have migrated from the west coast – skateboarders, rollerbladers, stroller joggers, and beach cruiser riders – pathletes are now part of our environment. We must learn to practice patience and tolerance if we want to preserve the sanctity of our bike trails.